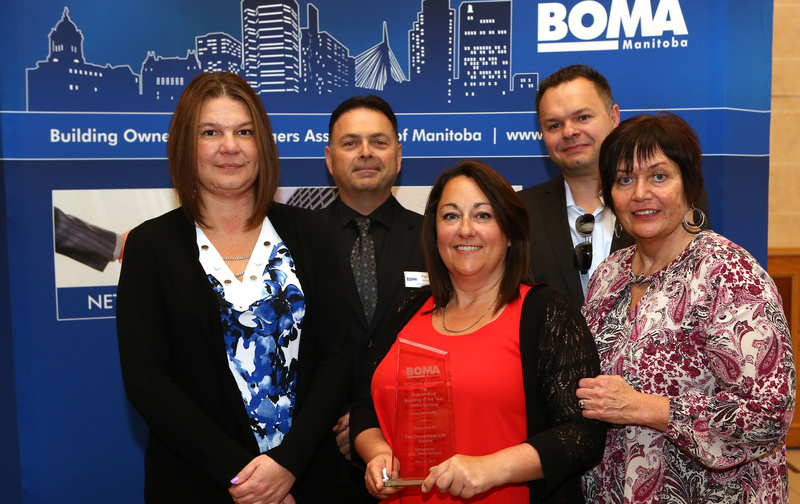 The Building Owners and Managers Association of Manitoba Recognized a number or member firms at its annual Awards of Excellence Luncheon. 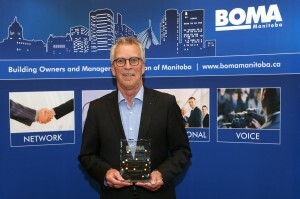 Held May 10th at the Fort Garry Hotel. Awards were presented to acknowledge outstanding customer service, environmental stewardship and excellence in building management. 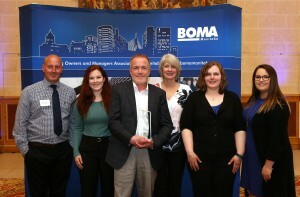 Managed by: GWL Realty Advisors Inc. 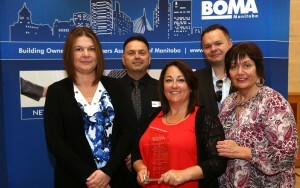 Managed by: 20 VIC Management Inc.
Paladin Security won the Pinnacle Award for customer Service. 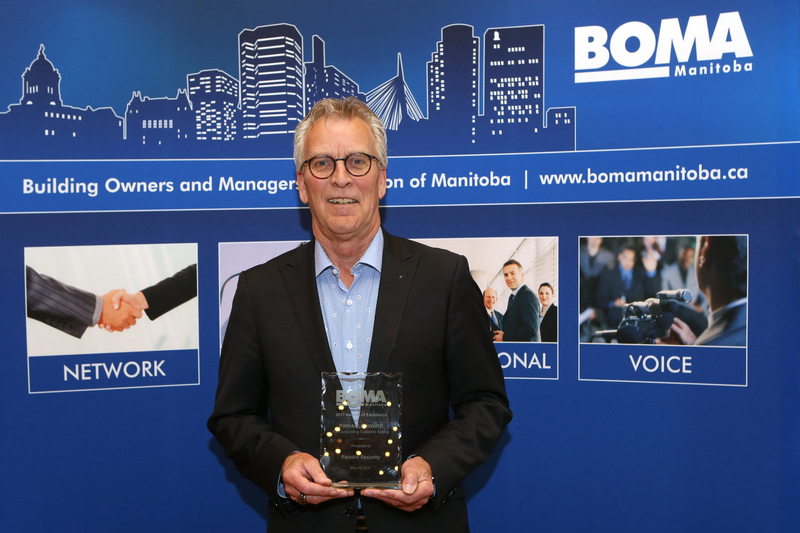 The Pinnacle Award is presented annually in recognition of service excellence in the commercial real estate industry. 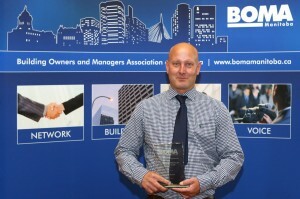 Pictured here is Thor Goodmanson, Director of Operations for Paladin Security, accepting the award on behalf of the company. Mike Storm, Building Operator for 20 Vic Management Inc. is BOMA’s 2017 Building Operator of the Year. 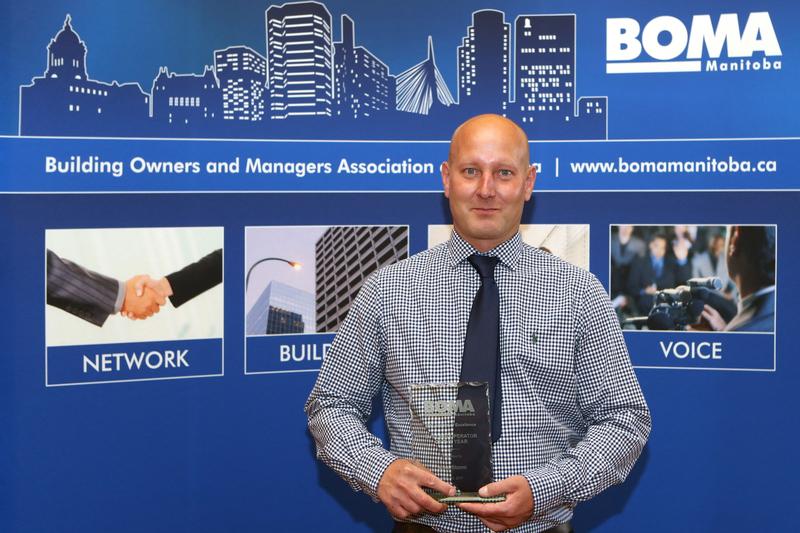 Mike and his fellow nominees were judged on their management and administrative abilities, knowledge of daily operations and preventative maintenance, tenant services, energy management and safety procedures. 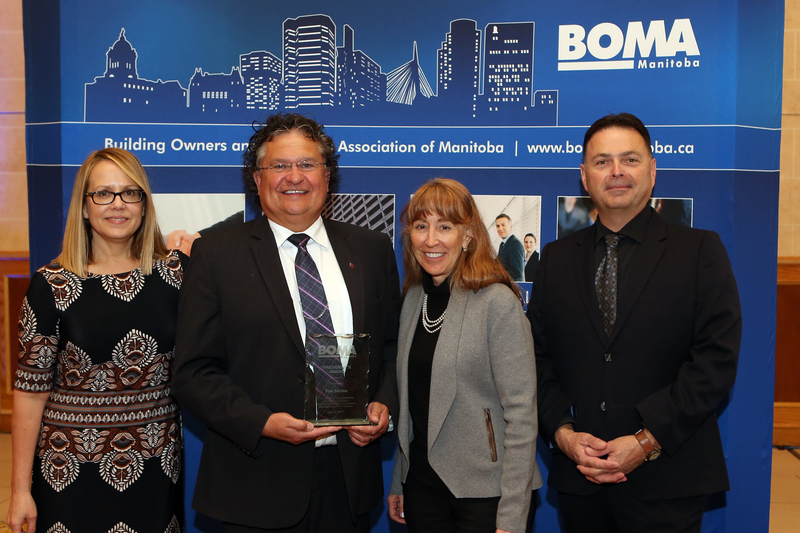 Tom Skraba of Red River College (second from the left) received the 2017 Presidents Award for outstanding contribution to BOMA and the industry. Also pictured here are past presidents Dawn LeRoye, Sue Ziemski, and current president Perry Schultz. 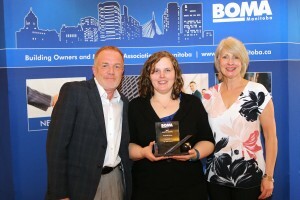 Award Winner Profile: Creswin Properties Inc.